The Fifth International Seminar of Young Tibetologists (ISYT 2018) was hosted by Saint-Petersburg State University. The Seminar lasted five days from September 3rd to 7th, 2018 and invited about 80 presenters from 23 countries around the world. Saint-Petersburg State University has offered courses in Asian Studies and subsequently Tibetology from the 19th century onwards. At present, the Faculty of Asian and African Studies of Saint-Petersburg State University looks back on more than a hundred and sixty years of teaching and research excellence. Renown as a centre of classical Tibetology, Saint-Petersburg school of Tibetan Studies is becoming more interdisciplinary now. Since 2011 its cooperation with other disciplines has encouraged the conveners of the Fifth International Seminar of Young Tibetologists to initiate a number of research projects, the results of which were presented at the ISYT 2018 by the young Tibetologists from St. Petersburg. The conference was organized by a team of scholars based at Saint-Petersburg State University: Pavel Grokhovskiy, Natalia Moskaleva, Maria Smirnova, Alina Gribkova, Anna Kramskova, Polina Butsyk and Alla Sizova. Kirill Alexeev, Robbie Barnett, Yusuke Bessho, Jeannine Bischoff, Trine Brox, Volker Caumanns, Olaf Czaja, Lewis Doney, Brandon Dotson, Cécile Ducher, Franz Xaver Erhard, Ruth Gamble, Emanuela Garatti, Kalsang Norbu Gurung, Jörg Heimbel, Nathan W. Hill, Theresia Hofer, Berthe Jansen, Natasha Mikles, Françoise Robin, Jan-Ulrich Sobisch, Emilia Roza Sulek, Tashi Tsering, Nikolay Tsyrempilov, Maria Turek, Vladimir Uspenskiy, Markus Viehbeck and Alexander Zorin. The ISYT 2018 conference organizers also thank the wonderful volunteers from the Department of Tibetan and Mongolian Studies and the administrative staff of Saint-Petersburg State University for all their help and continuous support at every step of the preparation of the ISYT 2018. Here is a group photo of the 2018 seminar. 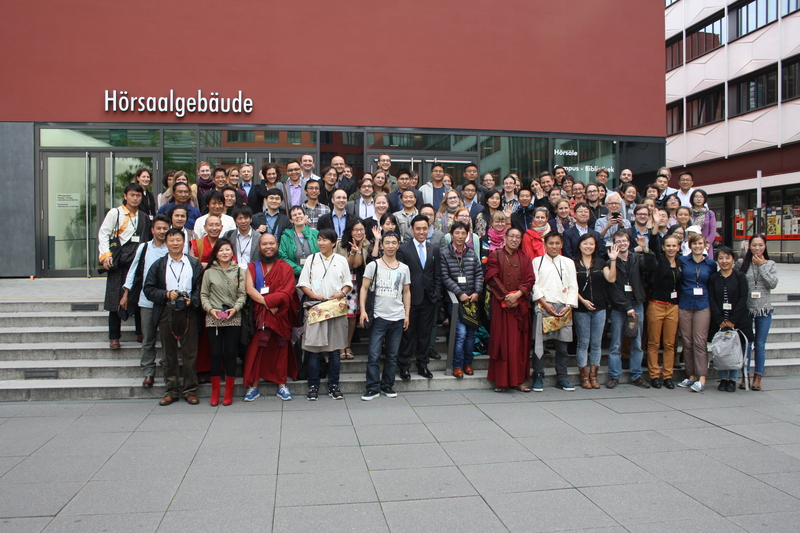 The Fourth International Seminar of Young Tibetologists was convened by Franz Xaver Erhard in Leipzig, September 7–12, 2015. The participation in our conferences has risen from 29 in 2007 to 50 in 2009, and 73 in 2012. In total, 106 scholars from all over the globe participated in the 4th ISYT, consisting of 70 podium presenters, 9 poster presenters, and 27 observers, including Professors Per K. Sørensen and Eli Franco of the Institute for Indology and Central Asian Studies, University of Leipzig. The growing interest in ISYT shows how important the Seminar is to young researchers. Candidates were selected from 232 applications by means of a thorough double-blind selection process, and the worth of this procedure was borne out by the quality of the presentations given over the 6-day event. The conference brought a number of disciplines to bear on Tibetan and Himalayan areas, from anthropology to art history, philology to development studies. Topics included Tibetan linguistics, Mongol, Manchu and Qing history, issues surrounding modern pastoralism, domestic practices and rituals, and diaspora Tibetan identity politics. The seminar provided doctoral students and early career academics with an arena for getting together to discuss their research and network with their peers. It also allowed scholars from the West and the East to meet on equal terms and enjoy time together socially. Finally, it enabled a number of students and early career academics from all over the world, but especially from Tibet and the areas bordering it, their first opportunity to present in an international setting and at a large-scale conference. We hope that this was thus a fitting way to honour Prof. Sørensen, who in 2016 retires after a long and distinguished perod of service at the University of Leipzig. Here is a group photo of the 2015 seminar. The Third International Seminar of Young Tibetologists was convened at Kobe City University for Foreign Studies, Japan between the 3rd and 7th September 2012.We would like to thank everyone who participated in making the event a success. The International Association for Tibetan Studies (IATS) has organized international conferences every three or four years. However, it has become difficult for young researchers to obtain the opportunities to present their papers due to the growing size of the conference. In order to solve this problem, the International Seminar of Young Tibetologists (ISYT) was established in 2007, and the conferences were held in London (2007), Paris (2009), and Kobe (2012). Kobe was thus the first host city in Asia. The 3rd ISYT was held in the Kobe City University from 3rd to 7th September 2012. The committee members were Kazushi IWAO (convener), Seiji KUMAGAI, Ai NISHIDA, and Meishi YAMAMOTO. There were two types of sessions, i.e., oral presentations and poster presentations. 60 persons gave a talk and 13 persons presented their posters from the points of view of history, religion, linguistics, anthropology, etc. Those speakers were strictly selected from 160 applications, so each paper was highly sophisticated. In addition, 20 observers also participated to exchange their academic information during and after the conference. Thus, the conference gave young Tibetologists two types of benefits: one was the opportunity to deliver academic presentations; the other was the opportunity to broaden their academic relationships with other participants. During the business meeting, both the former president Brandon Dotson and secretary general Tim Myatt had retired. Kelsang Norbu Gurung and Seiji Kumagai were selected to be new president and secretary general respectively. Here is a group photo of the 2012 conference. 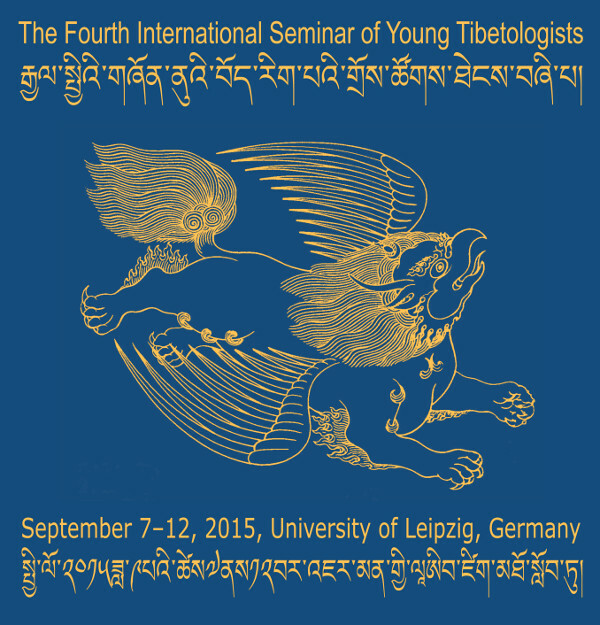 The Second International Seminar of Young Tibetologists has come and gone. The conference, convened in Paris, between September 7-11 2009, was a tremendous success, thanks largely to the participation of approximately 50 participants from 15 different countries, the convivial atmosphere, the wonderful venues, the high quality of the papers presented, and the wonderful scholarly discussions that ensued. We would like to thank everyone who participated in making the event one to remember. 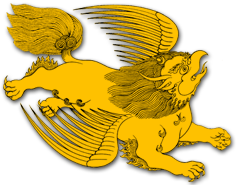 In particular, we would like to thank the Ecole Pratique des Hautes Etudes, the Institut National des Langues et Civilisations Orientales, and the Université Paris Ouest - Nanterre La Défense for their financial support, and to the Ecole Normale Supérieure, Bibliothèque Sainte-Barbe, and the Musée du quay Branly for graciously providing the incredible venues. Special thanks must also be given to the Trace Foundation, who provided us with a generous grant to welcome five young Tibetan scholars from Lhasa, Chengdu, and Beijing. The effects of this conference will be felt for a while yet. New friendships and academic collaborations and projects have emerged, and Tibetan Studies in the "City of Lights" has been infused with the energy of the new generation of international scholars. We have no doubt that we have all contributed to keeping Paris' reputation as one of the world's premier centers for academic excellence in Tibetan Studies. musée du quai Branly, École Normale Supérieure Paris, La Bibliothèque Sainte-Barbe est ouverte, École Pratique des Hautes Études, Institut National des Langues et Civilisations Orientales, Milieux, Cultures et Sociétés du Passé et du Présent, Trace Foundation, Centre national de la recherche scientifique, Centre d'histoire sociale et culturelle de l'occident (CHISCO). The International Seminar of Young Tibetologists (ISYT) was founded to create a venue for collaboration and exchange for postgraduate students and early career researchers. This was achieved through convening the first ISYT conference at the School of Oriental and African Studies, University of London, 9–13 August 2007, and by founding the ISYT as a sustainable research association that convenes conferences every two to three years. The first ISYT conference brought together scholars from all over the world. A generous Research Networks and Workshops Grant from the Arts and Humanities Research Council of Great Britain (AHRC) allowed the convenors, Brandon Dotson and Tim Myatt, to sponsor the participation of a dozen scholars from Tibet, China, Nepal and India. These participants, along with being able to employ a translator during the conference, were key elements to the conference's success. The first ISYT conference, with its academic and social exchanges, has created valuable international contacts for all involved and potentially long-lasting relationships between conference participants. Here is a group photo of the 2007 conference. We are delighted to announce that the Proceedings of the first ISYT conference will be published by Serindia Publications.